A rare three-sport standout during a time of increasing athletic specialization, Tom Lafferty stands out as one of the outstanding Lowell High School athletes of the 1980’s. A three-year standout for Coach Walter Nelson’s football team, Tom anchored the Red and Gray’s offensive and defensive lines at his end position. A sure-handed receiver, Tom ranks in the top ten all-time in both career pass receptions and total career receiving yardage for Lowell High School. Tom earned both Lowell Sun All-Star and MVC All-Conference honors for the 1987 season. 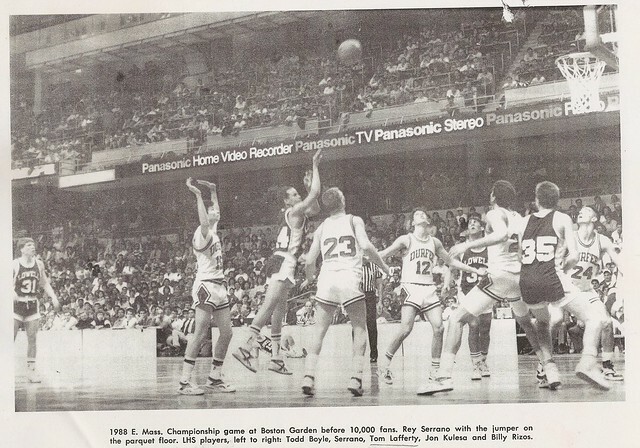 As a key member of Coach Charlie Ryan’s basketball squad, Tom was one of the catalysts for Lowell’s successful run to the Division I North Sectional Championship in the 1987–1988 season. The team’s Co-Captain, Tom earned MVC All-Conference honors as he led the Raiders in offensive and defensive rebounding, field goal percentage, and blocked shots. 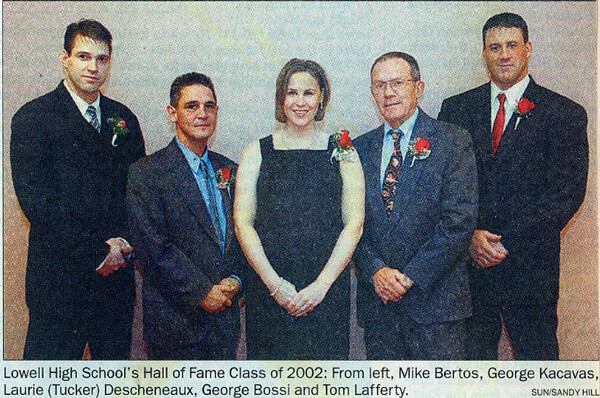 Tom also performed as a hard-hitting outfielder on Coach George Cunha’s baseball teams during 1987 and 1988. After graduation, Tom enrolled at University of Massachusetts at Lowell, where he developed into a stellar tight end for Coach Dennis Scannell’s Chiefs. 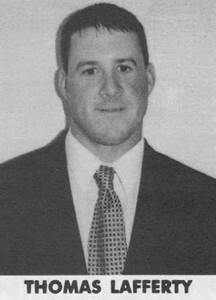 A four-year starter, Tom earned Eastern Collegiate Athletic Conference (ECAC) Rookie of the Year honors in 1988. He was a three-year All-Conference selection in the competitive New England Football Conference. Tom culminated his collegiate career by serving as UMass Lowell’s Captain and earning All-New England honors (including all divisions) during his senior year. Among his school records at UMass Lowell were most pass receptions in a season and total career receptions. Tom’s talents attracted numerous National Football League scouts and resulted in an invitation to the NFL Training Combine after his senior year.